Important policy updates from 10th November 2017 – 16th November 2017. The Union Cabinet chaired by Prime Minister Shri Narendra Modi has given its approval for signing a Memorandum of Understanding (MoU) between India and Philippines in the field of agriculture and related fields. The MoU will improve bilateral cooperation in the field of agriculture and will be mutually beneficial to both countries. It will promote understanding of best agricultural practices in the two countries and will help in better productivity as well as improved global market access. Burning of crop residue in the states like Punjab, Haryana, Uttar Pradesh and Rajasthan also contributes in increasing environmental pollution levels. National Green Tribunal has directed the Delhi government and these four northern states to take strict measures to deal with this serious biennial threat. In this regard, Agriculture Ministry issued an advisory to the state governments to create awareness among the farmers about the harmful effect of straw burning and also asked them to provide the residue management machines and equipment such as Zero Till Seed Drill, Happy Seeder, Straw Baler, Rotavator, Paddy Straw Chopper/ Mulcher, Gyro Rake, Straw Reaper, Shredder, etc., to farmers through Custom Hiring Centres or village level Farm Machinery Banks. The Union cabinet on Friday cleared a proposal for the creation of a National Testing Agency (NTA), which will conduct all entrance tests that are at present being done by the Central Board of Secondary Education (CBSE). The NTA would initially conduct those entrance examinations that are currently being conducted by the CBSE. Other examinations will be taken up gradually by the NTA. Under the NTA, the entrance examinations will be conducted online at least twice a year, to give adequate opportunity to the candidates to bring out their best. Establishment of NTA will benefit about 4 million students appearing in various entrance examinations. It will, over time, relieve the CBSE, AICTE, IITs, IIMs and other agencies from the responsibility of conducting these entrance tests, thus enabling them to focus more on their core mandate. The largest ever National Achievement Survey(NAS), based on the learning outcomes, was conducted among 25 lakhs school children from 1.1 lakh schools for Classes III, V, and VIII by NCERT across 700 districts on Monday. It was an exercise to understand the gaps in learning in government and government-aided schools. For the first time, the survey will be based on learning outcomes wherein a comparative analysis will be done up to the district level. Students of Classes III and V were assessed on their language, mathematical and environmental studies (not for class III) abilities while for Class VIII it was science and social science instead of environmental studies. The Government of India launched today the BHARAT-22 Exchange Traded Fund (ETF) managed by ICICI Prudential Mutual Fund targeting an initial amount of about Rs.8,000 crore. This new fund offer is open till November 17, 2017. The Units of the Scheme will be allotted 25% to each category of investors. In this ETF, the Retirement Fund has been made a separate category of investors. In case of spill-over, an additional portion will be allocated giving preference to retail and retirement funds. There is a 3% discount across the board. The strength of this ETF lies in the specially created Index S&P BSE BHARAT-22 INDEX. This Index is a unique blend of shares of key CPSEs, Public Sector Banks (PSBs) and also the Government-owned shares in blue-chip private companies like Larsen & Tubro (L&T), Axis Bank and ITC. 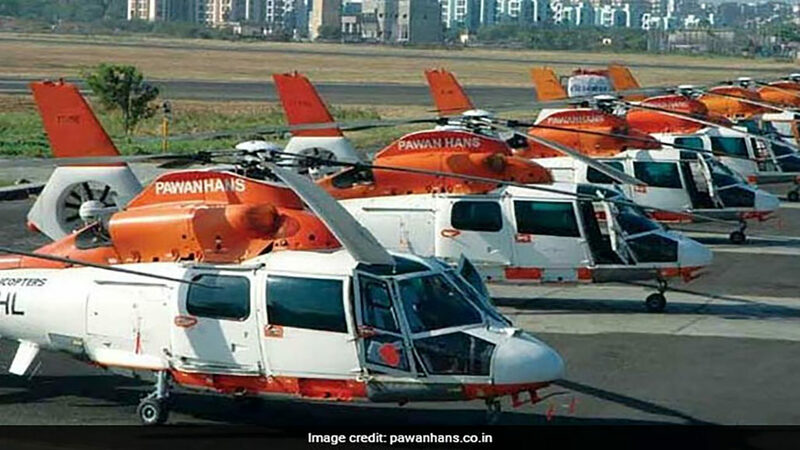 The Northeast will soon get a helicopter-based air dispensary, the first of its kind, to serve the people in remote areas in the region. The Union Ministry of Development of Northeast (DONER) has already contributed Rs. 25 crore as part of the initial funding for this initiative. For a few months, the DoNER Ministry explored the idea of introducing a helicopter-based dispensary/OPD service in far-flung areas, where no doctor or medical facility is available and the patient does not have access to medical care. The proposal put forward by the Ministry of DoNER has been accepted and is in the final stages of the process in the ministry of civil aviation. Minister of State (IC) for Power and New & Renewable Energy, launched the National Power Portal (NPP). The portal may be accessed at http://npp.gov.in. It is a centralised system for Indian Power Sector which facilitates online data capture/ input (daily, monthly, annually) from generation, transmission and distribution utilities in the country and disseminate Power Sector Information (operational, capacity, demand, supply, consumption etc.) through various analysed reports, graphs, statistics for generation, transmission and distribution at all India, region, state level for central, state and private sector.